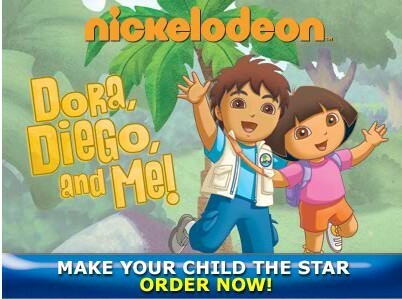 Dora and Diego are getting a new co-star in their latest adventure – your child! 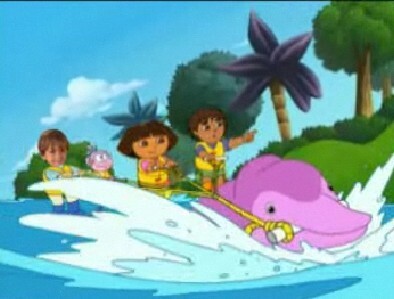 Families can send their child on a one-of-a-kind animal-filled excursion with their favorite adventurers in Dora and Diego’s first ever personalized DVD “Dora, Diego and Me.” Parents can watch their little traveler virtually zip lines through the rain forest and water ski up the river to save Baby Jaguar who is stuck at the waterfall (in effect becoming the next ‘preschool superstar’)! After obtaining a photo of the child and the child’s name, Kideo uses its patented technology to digitally insert the image and name into the story, enabling kids to see themselves and hear their names said onscreen by Dora herself! 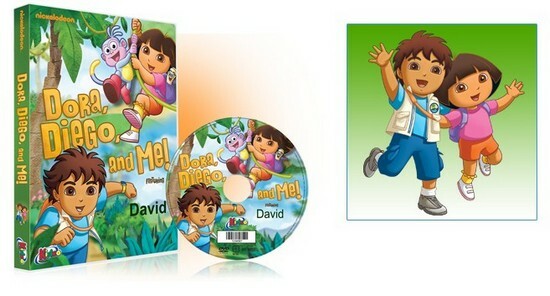 “Dora, Diego and Me” is available now at www.kideo.com for $29.95. I’m not looking forward to the consumer side of parenting. But since I have a girl, Dora, at least is not a princess. Excellent article, quite interesting information. I recently found your blog on bing. I am going to recommend it to loved ones and close friends.